Whenever you want to save time and clean the waste of the property, you should call the trash removals. They are the best service providers for this job. Those, who have spent a long time by working as professional waste removals, can meet all your cleaning demands. Don’t trust on newbie service providers. It will be waste of time and money, if you hire a newly founded trash removal service. Its workers won’t clean the junk effectively and they can cause accident or damage due to lack of knowledge. Rubbish Removal Sydney is a well-known junk cleaning service in Sydney. It is doing trash removal work for a long time and now it stands with the best rubbish removals of the New South Wales. AAA Mr Rubbish Removal Sydney offers comprehensive support for junk cleaning and relocating work. In commercial areas, it serves in offices, stores, restaurants, businesses and production companies. 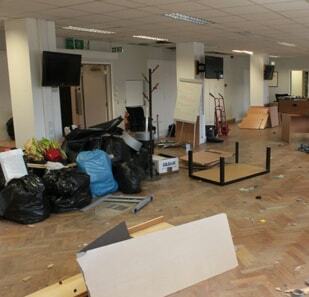 It will provide support for removing old office furniture, flitout rubbish removal and removal of machines. This company provides extended service to remove all sorts’ junks collected by commercialist. So, whether it is your restaurant, store, office or a production area, call Rubbish Removal Sydney and get the trash removed safely. Your can be an ideal place for growth of germs, if you have collected too much junk and waste inside or outside the home. AAA Mr Rubbish Removal Sydney helps homeowners in removing whole waste out of their property. The junk cleaning prices for household waste are quite affordable, so you can anytime schedule the appointment for junk cleaning. This trash removal service operates in all the suburbs of Sydney. You can get immediate support, whenever you call or schedule the waste removal work online.